Home » Meta » SF Signal Welcomes Alexandre Maki! SF Signal Welcomes Alexandre Maki! SF Signal is pleased to welcome Alexandre Maki to the ever-expanding SF Signal team! Alexandre Maki is a writer from Brazil but prefers to read and to write in English because of his fondness for the language. When he is not reading or writing (or procrastinating), you can always find him on Twitter sharing links to long, serious articles or short, silly videos. Alexandre will be rotating weekly link posting duties with PipdreamerGrey. He’s a shoe-in — he’s been sending us awesome links for a while now. His first link round-up is already posted. Check it out! In the meantime, please join me in welcoming Alexandre to the SF Signal team! 14 Comments on SF Signal Welcomes Alexandre Maki! Thank you, John! It’s an honor to be part of this incredible team. I hope that the links I share will be useful and entertaining to everyone. I don’t believe bagles are very common here. I was only able to find them once a long time ago. So I’m not even sure if they were of good quality. Wait, what if everyone is hiding the (good) bagles from me? I’ll investigate further. Once again, thank you! Now I’ll go look for some links because the link machine never stops! Thank you! As far as I know, you can find Brazilian barbecue in the US just as easily as here. Brazilians are e-v-e-r-y-w-h-e-r-e.
hi Alexandre, welcome to the team! Thank you! It’s an honor to be part of such an amazing team. I hope that I’ll be able to help even if it’s just by sharing some links. Welcome! The links post is one of my favorite ways to enjoy a daily does of SFF goodness. Glad to have you on board. Thanks! The links post is how I came to know SF Signal and helping with them is my way of trying to give back to a website that offers so much entertainment and information to the SFF community. Anyway – here’s the thing. You see, no one wants bagels! So…. When can you get those bearclaws to us? Oh – and welcome aboard. But don’t forget about the bearclaws. But, not being familiar with such pastry before, for a moment there I thought you wanted me to go hunt an ursine beast and bring back its bloody paws. Now that would have been awkward. There is still some time left for you to enter our giveaway for The Secret History of Fantasy by Peter Beagle. (SIGNED by Peter S. Beagle, Jonathan Lethem, T. C. Boyle, and Gregory McGuire)..but hurry, time is running out! See the original post for details on how to enter. Exclusive eBook Deal! 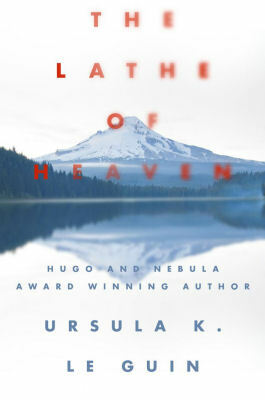 Get Ursula K. LeGuin’s THE LATHE OF HEAVEN for Only $4.99!